Hi there, my name is Shin Ohtake. Over the past 2 decades as a former competitive athlete, coach, chiropractic soft tissue therapist, and personal trainer, I've dedicated myself to helping others lose more fat, build more muscle, and get fit in the most effective and time-efficient way possible. But getting here didn't happen overnight. Back when I was a competitive athlete, I had the rare opportunity to learn from some of the best names in the business, such as Charles Poliquin, world-renowned strength and conditioning coach. It was during this time, early on in my career, that I learned the importance of quality over quantity when it comes to training and getting results. Then, in 1992 while I was working on my undergraduate degree in biochemistry at McMaster University in Hamilton, Ontario Canada, I gained an in-depth understanding of the body's energy systems and how these processes result in more calorie burning. Now, I just needed to figure out how to most effectively optimize these processes through training. So, I went on to further study anatomy and physiology and obtained my doctorate degree at Palmer Chiropractic College West, in Northern California. It was then that I discovered the connection of the body's nervous system to weight-loss and muscle building. You see, most people don't think of the nervous system as being related to weight-loss and muscle gain. The truth is, by stimulating the nervous system through proper training, you can burn more calories and increase your strength to get lean and fit faster. 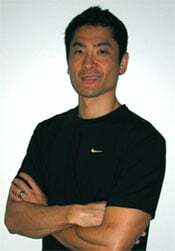 As a chiropractor, I specialized in soft-tissue therapy to treat injuries and speed muscle recovery. I had the opportunity to help hundreds of people (from professional athletes to stay at home moms) with soft tissue injuries that I found were caused by poorly planned workouts, outdated fitness methods, and over training. Finally, with my 20 years and thousands of hours of combined research, university study, and hands-on experience, I developed the MAX WORKOUTS 90-day fitness program. I created this proven system to help anyone get off the fitness plateau and accelerate their results with faster, more efficient workouts. In all my years as a fitness trainer, I've put the MAX WORKOUTS program to the test on men and women with all different body types, from all walks of life. I've helped people who are overweight, recovering from injuries, and those trying to get past a fitness plateau. Whether you want to shed those extra pounds or take your fitness and performance to the next level, I sincerely hope to help you reach your goals. 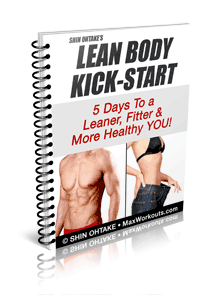 To Leaner & Fitter You!